I finally received my FT-817nd to iPad interface cable from Zindello.com.au for digital modes, and it communicates well with the two units. It's nicely built, but it took almost 3 months from my order date in early October 2013 to receive it this past week, so if anyone want one, be forewarned that this fellow, while he makes a nice interface cable, works on geological time. He has other interests which share his available time when not working, so don't think you'll get it in any kind of a hurry unless maybe you live in Australia next door to him. Hi, hi. Here are just a couple of shots of the units together, and the detail information on the interface module itself. (I had to extract the radio frame from it's Go-Box to change the cables on the back of the 817) The PC board is encapsulated in clear silicone, and I believe this will keep the unit protected for quite some time. There are other ways to build it, but this appears to be the most cost effective method to keep the unit cost at $45 USD + shipping. Shipping from Australia to Ohio was only $14.10 Australian dollars. That's pretty cheap compared to USPS rates for priority shipping. To get up and running I'm using the PSKer app from iTunes. It's limited in its options, but for $3 it's hard to beat. I would like to see FLDigi come up an app with their software, because it's a lot more flexible. 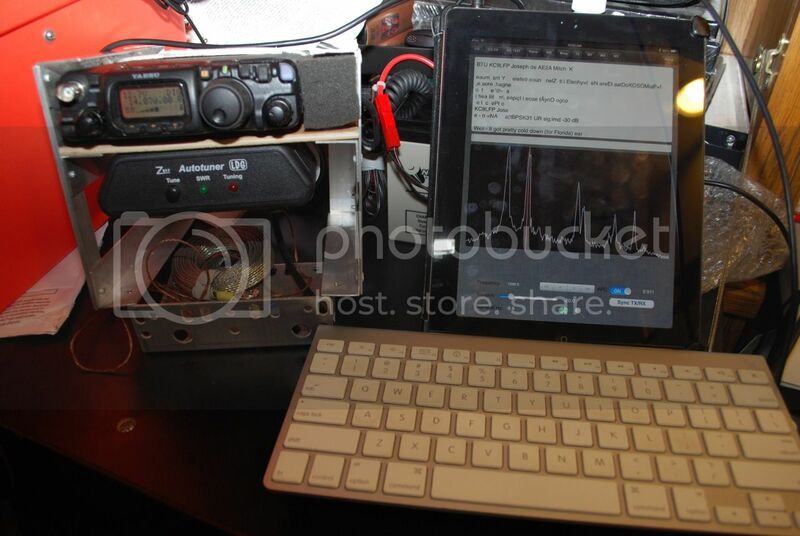 I have a SignaLink USB and a netbook computer with FLDigi, but the whole idea of the iPad was to reduce size and weight for portable operations and backpacking. In that regard it works well. Also shown is my BluTooth remote keyboard that makes responding significantly faster, as you don't need to switch between screens for numbers and characters like you need to do on the iPad. This would be an optional item for backpacking, but a must for ordinary portable operations. Very nice item to add to the QRP arsenal. I paid the interface (order #608) 178 days ago! Josh (VK3XJM) is silent, does not respond to my letter and not responding to my messages. I think I wasted my money. What cameras are you using? 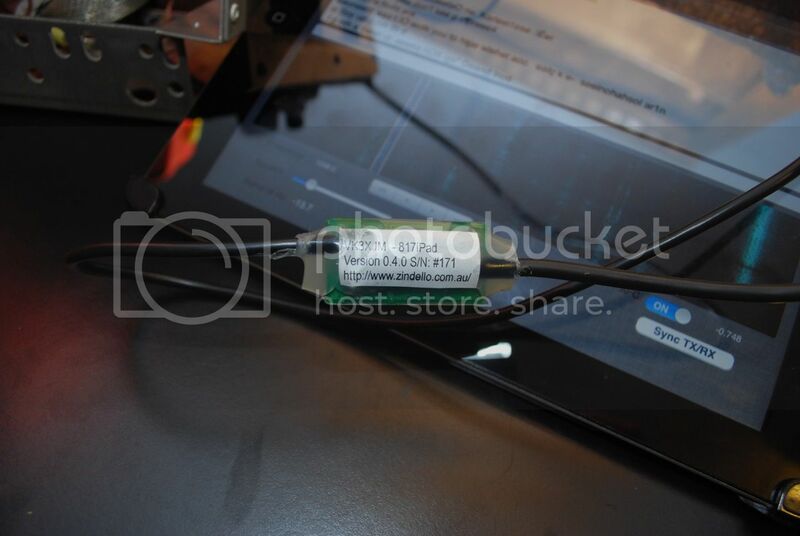 I am setting up an 817 now and that Pad was great information as that is way I want to go. Very strange that you have 178 days to wait!